Florida Fallglo Tangerines are the first fruit to mature, announcing the start of the citrus season. Large in size, sweet and juicy, Fallglo Tangerines are easy to peel and section, making them great for snacks and fresh eating. 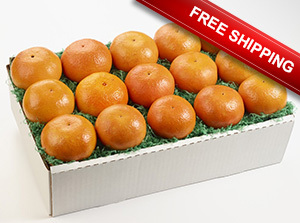 This special Tangerine Time pack includes 12-15 large Tangerines, approximately 9 lb. Available October-November only. First shipment to US November 7, Canada November 14. Sign up to be notified when Tangerine Special is in season. "We work hard to select only the finest fruit and deliver it in excellent condition. I Unconditionally Guarantee you and yours will enjoy our fresh Florida citrus." The Tangerine Time special offer is available for purchase through November 23 and can be shipped to the lower 48 US states and eastern Canada. 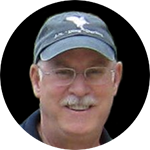 Free Shipping to the lower 48 US states, reduced shipping to Canada.